I am an IT professional with over 25 years commercial programming experience. During this time I have worked on everything from mainframe emulation systems, aviation subsystem simulators, educational CD-ROMs, bespoke content management systems, publishing processes to database driven websites. I have commercial experience in using a multitude of languages including C, C++, Java, PHP, Flex to name just a few. I now work remotely on a freelance basis. If you're looking for an experienced, dedicated and exceptionally motivated developer for your project, then please don't hesitate to contact me. 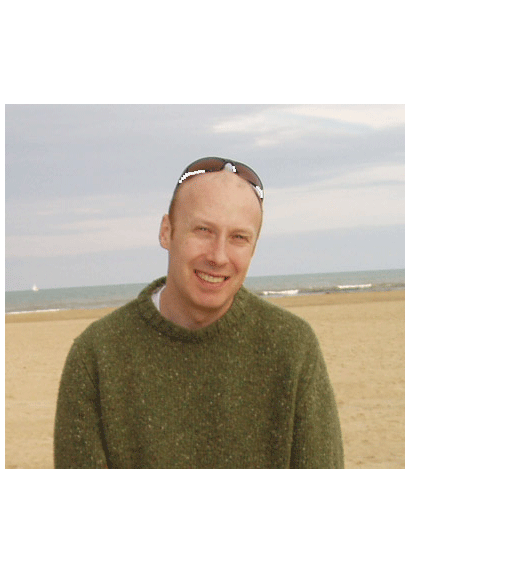 "Andy worked on my development team at Accedo and helped deliver a number of key features for one of our clients. Andy proved himself as a very capable Roku developer and always willing. Hopefully we’ll work again in the near future." "Andy is a very dependable and talented individual with strong people skills that I would highly recommend to another business. Andy was hired to develop our Hopster app for the Roku TV platform and although I was a manager with no prior TV experience, Andy was very patient and explained everything with a brilliant attitude so that I could learn from his expertise and we could build a high quality experience. The app is still highly featured on Roku TV due to Andy’s hard work he put in and motivation to do the best job possible." "We used Andy to develop the back end on a PHP project for a commercial estate agent website and also do the integration work with an API. He was quick and very thorough and was happy to suggest additional options and solutions that we'd not thought of. We'd definitely use him again :)"
"Andy is a great PHP developer who worked really well within our team even when working remotely from Spain. He worked very hard to help us deliver a critical project and put in lots of very long days to help us get there. I would certainly recommend Andy to anyone needing a solid PHP developer on their team." "Andy is an exceptional developer, who is equally skilled at writing new applications as adapting others work. He communicates well with colleagues and customers. He has a positive approach to work that is very motivating to the teams he works with." "Andy is an excellent software developer with a wide breadth of knowledge and very strong design, analytical and implementation skills. I would have no hestitation in recommending Andy for any software development role." "Andy is clearly very able technically but what sets him apart is his interpersonal skills - he listens, understands and interprets a client's needs without difficulty. He's a great team player with a big personality that makes work fun and easy. Nothing is too much trouble for him." I have taken over the development work on the well known Harden's restaurant guide website. I was brought in to complete the partially finished Zend 2 project, MiProcurement. I quickly came up to speed with the project remit and under considerable time pressure successfully completed to specification. I have now been asked to work on other projects including upgrading from Zend 1 to Zend 2. I have taken over complete development work on this site. I recently integrated the USA resorts and implemented a new pricing model as well as adding new backend functionality to the bespoke CMS. I worked remotely along side the Surge Online team as the principal backend developer on the Oxplore project. This is a Drupal 8 based site created in collaboration with Oxford University. Created the Roku channel (Hopster TV) using the brightsctipt scene graph XML framework. This links to all the dynamic content from the Hopster api's and also includes the Hopster/Roku subscription process. I have also worked on updates since the original application, successfully overseeing the strict Roku certification process. I worked remotely along side the Surge Online team as the main developer constructing the bcs beacon project (http://beacon.bcs.org). This not only consisted of the site itself but sitting behind is a bespoke content management system, allowing complete control of the data and subscription process. Worked remotely adding additional functionality to the ordering process of the website http://rentalrepublic.co.uk, the Number 1 ski hire and delivery company in France. Worked on a CMS Made Simple commercial property website, Lamb & Swift. Integrated property search functionality, plus the backend admin system to manage the bespoke property content. Integrated with the Google Maps api and the rightmove api to dynamically push content immediately to the rightmove website. Created Roku Music Channel - Pure Music using the Roku SDK and BrightScript language. The streaming video is controlled by a remote PHP driven CMS which allows dynamic editing of the music content. The music tracks are stored and served from Amazon S3. Re-developed the Magento site www.insitumanchester.com, applying new design and features. Developed several Concrete5 microsites including Black Flag, for Cambridge University Press. This is a companion website to the Book, providing a set of puzzles all themed around the book content. Worked as part of a remote multi-national team developing a large e-learning system for Cambridge University Press. The system interoperated several external systems including data from Learnosity, a remote assessment development engine and Elevate, a bespoke CUP digital learning service to create and display educational content for students and teachers. These can be completed, submitted and marked online. All progress can be viewed online and downloaded in a variety of formats. Developed the site McKenzie Guppy Limited, integrating Twitter Bootstrap and the Flickr api. Developed alongside Ben Baker the website www.touchit.com. This site uses a combination of Zend Framework, PHP, jQuery and Ajax to bring together a visually appealing and informative website for the touch manufacturing community. Other technologies include the Twitter Bootstrap and the Twitter api as part of the numerous functionalities within the site. Sitting behind the site is a fully integrated admin section allowing control over the site content and an advanced notification system minimising administration tasks. The site has been multi language enabled and is easy to switch between English, Chinese (traditional), Korean and Japanese. MySQL is used as the RDBMS. Worked in association with Pearson Education and LDL on a joint project extending the functionality of the Pearson Flagship web based PHP-MySQL ALG (Always Learning Gateway) platform. The project was run using agile development methods with the teams communicating via Google Hangouts each day and regular demonstrations of Sprints via Join.me. Began working remotely for the Pearson Central Digital Group working on the server side development of a Flex - PHP CMS system using Agile/SCRUM software development methods. Development used Zend Framework for PHP and Cairngorm for Flex with communication between PHP and Flex via Zend AMF. My remit at Pearson Education was initially to design and implement the backend code base of the firm?s flagship e-learning product which is sold in the UK primary schools market. When I joined Pearson plc the UK product, KnowledgeBox, had yet to be developed. Coupled with this, I effectively designed, engineered and coded the CMS used as the primary source for content deployment into KnowledgeBox in Java. In addition to providing new PHP support for new planning modules to KnowledgeBox I now provide technical input and coding for individual bespoke software development projects at Pearson and provide support for existing and new customers and support teams. During this period I was fortunate to work in a variety of roles, initially as part of the 50 strong Software Development team, and then in the Localisation department and finally in the DK-Online team, developing the e-commerce website for the DK shop. I was initially brought into DK as a member of the ?core team? with the responsibility of maintaining and updating the generic C++ 16/32 bit core libraries for both Macintosh and Windows platforms. This was the core code used by the entire team of software developers and the engine for all the DK CD-Rom applications. I requested a move into product development and became a developer on numerous DK CD-Rom titles including: Earth Quest, BMA Family Encyclopedia before being promoted to Lead Developer for Encyclopedia of Nature 2 and all of the Bear & Penguin series. During this period my roles and responsibilities were two-fold. As well as working on the entire DK backlist of titles maintaining and localising products for export to foreign markets in conjunction with foreign publishers. I took on more of a technical consultant role to outsourcing companies. This was at the stage where DK was starting to move away from in-house CD-Rom production to outsourcing work externally. I worked as part of the on-line team developing the e-commerce website for the increasingly important DK Shop. I also developed an Interactive TV website in conjunction with NTL from re-purposed DK content from existing titles. During this period I formed a Limited Company, Applied Software Consultants Ltd and contracted for a variety of CBT projects. Clients included: Rolls Royce, St James's Hospital, Allied Lyons and Barclays Bank. Most of the work involved mainframe emulation using the TenCORE language authoring system. In May 1992 I was asked to lead and develop a CD-Rom CBT course for the Ministry of Defence in Australia. Just fill out the form to get things started!